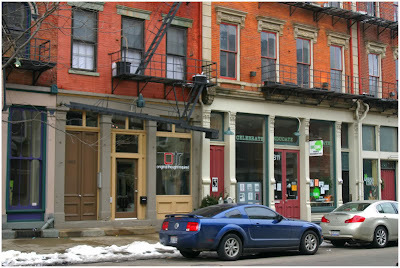 UrbanCincy: Is Main Street getting its groove back? 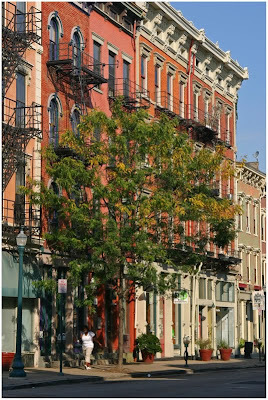 You remember the northern stretches of Main Street in Over-the-Rhine. The downtrodden, turned entertainment district, turned tech zone, turned entertainment district again, turned gallery space, turned neighborhood again eastern area of historic Over-the-Rhine that has as much potential as any. The reasons behind these tectonic shifts could be debated endlessly - neighborhood demographics, investors, perception, mega-events, etc. But as the Gateway Quarter continues its creep onto other unassuming portions of Over-the-Rhine south of Liberty Street, the once premier street in OTR for neighborhood rejuvenation seems to be sitting pretty once again...especially when you add in the fact that a new casino employing thousands of workers (temporary and permanent) will be opening just a couple blocks away attracting tens of thousands of more visitors to the neighborhood each year. Part of this most recent shift began a year or so ago when the dependable Over-the-Rhine developers worked some of the magic on Main Street that they had on Vine Street. New residents began moving in, and the ripple effect officially began anew for Main Street. 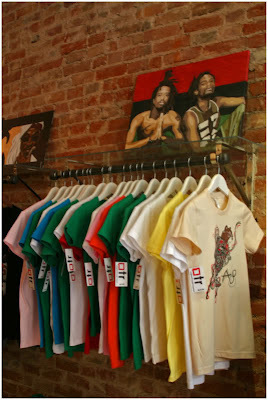 Main Street resident James Marable was able to not only set roots there, but he was able to realize a life-long dream when he opened Original Thought Required - a new street wear boutique. 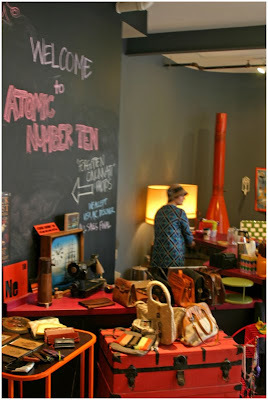 Across the street from Marable's shop, Katie Garber decided to open an eclectic vintage shop called Atomic Number Ten. The new shops join ever-establishing neighborhood icon Iris Book Cafe serving as the requisite coffee shop and third place for this corner of OTR. Also in the mixture of new businesses and residents are new nightlife destinations looking to rightfully reclaim some of Main Street storied nightlife past, while also trying win big on an early casino bet. 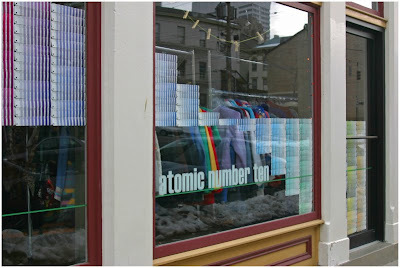 Original Thought Required street wear boutique [LEFT], and Atomic Number Ten vintage shop [RIGHT]. Photos by Randy A. Simes. Longtime Over-the-Rhine resident, neighborhood advocate and Main Street enthusiast Michael Redmond is especially excited about the prospects of the casino for entertainment destinations along Main Street and nearby areas. Redmond is part owner of Neon's Unplugged that will be opening this spring just off of Main Street, and while the casino didn't directly make the decision on reopening the legendary establishment, Redmond said that it certainly got the ball rolling a bit faster. A bit more directly casino related, the Fries brothers will be opening Jack Potts Tavern this spring in the former Jefferson Hall space along Main Street which is playfully named after Paul Fries' son and inspired by...you guessed it...the new casino opening just blocks away in 2012. Will the latest transition of Main Street that is a hybrid of the Main Streets of past finally be the way to a sustainable business and resident future, or will the historic street be looking for a new vision another five years from now? While this much may be unclear, it is always a good idea to diversify your investments, and dare I say, hedge your bets. I've really enjoyed the transition from club scene to living space for Main St. Its really become a livable neighborhood and the new additions to nothing but add to that. My understanding is that a record store is moving in by Iris this year, as well. When all the night clubs died off, it took someone to come through and start working on condo's. Now that residential is going full steam, retail will follow. Everyone laments the lack of retail in the CBD, but I think it makes more sense in OTR. Downtowns are evolving in entertainment districts across the country, this leaves OTR, a few blocks away, an excellent opportunity to capitalize on this movement. Even more so when workers downtown can take a 5 minute streetcar ride to Main/Vine St. I think there still needs to be a few more eating options, but I bet over the next year or so restaurants will follow. I saw an article on the tube about this the other day. Of all these casino jobs, anybody know how many are full time? That is - how many employees will be potential residents? Since the casino will be open 24hrs/day, it will be interesting to see how much of a 24hr culture develops around it. I live up above Main Street and work (Arnold's) on 8th St. off of Main. Weather permitting, I usually walk to work. It has been very interesting to see the transformation going on on Main. Back in the day, people seemed to make a big loop and there wasn't that line over Central. It will be good to see that gone again. The transition has been interesting as the transformations along Main Street have often followed along with the macro economic trends happening in our nation. The street is now getting down to a more local level where it is supplying the needs of nearby residents and accommodating the entertainment needs of what will be immediately generated at nearby attractions. To me, this seems like a much more sustainable path to success. I've discussed the idea of closing off the east/west streets to vehicles with others before. They barely get any traffic as it is, and you would think that such a conversion could make a big impact on the neighborhood in a positive way. I always wondered if some of the side streets wouldn't be better off going back down to the original brick underneath. Theres occasionally places where it shows through, and its quite beautiful (I always marvel at some of the places where you can see wood block paths in addition to brick). Many European cities leave the historic streets this way. I think it would encourage pedestrian travel and slower/less car traffic on its own, although I guess biking wouldn't be as ideal. Speaking of biking through OTR, a couple of classmates of mine at UC several years ago suggested the idea of turning the alleyway system into a bicycle network where bicyclists could have the entire alleyway to themselves and not have to worry about automobiles except for when they cross main streets. I'm sitting at Iris Bookcafe as I write this, and the cozy vibe and modern feel of the place keeps me coming back. I'd love to see more places like Iris and Atomic and Original Thought open up around here.